So, before we start, a little background on Hidden Pearls. They sell a variety of items – hijab pins, Eid gifts and hijabs (obviously). There are several different types of hijabs available on their website, such as Jersey, Turkish, Chiffon, Glitter Rose, Multi-tone… and the list goes on. I’ve been told that they’ve got the largest collection of hijabs in the UK which is pretty awesome. Their Eid gifts are something that have caught my eye since I’ve never seen a product like that before. I think it’s a great idea and there’s definitely a market of them. So, Hidden Pearls offers two kinds of boxes which you can purchase – a regular and a deluxe. The regular box includes a single hijab while the deluxe has two. Both boxes also include pretty pins and a ninja cap. They also include some kind of little treat like chocolate or jewelry in each box. I think they’re a wonderful idea for Eid gifts or even to spoil yourself some time. 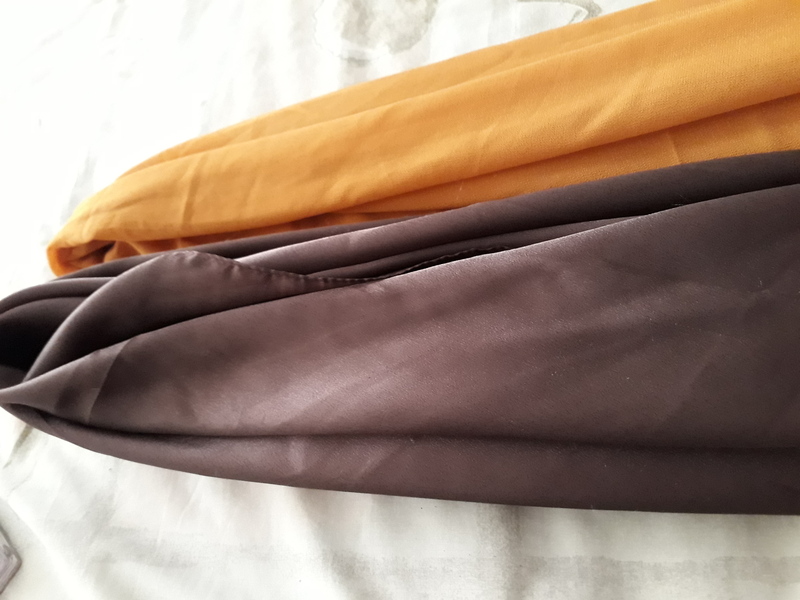 I was lucky enough to receive two hijabs from Hidden Pearls, one in a mustard and the other in a chocolate shade that I love dearly. These hijabs are fantastic quality! I was a little afraid of unleashing my pins on them – I generally use around 4 and I’m not too gentle when pinning. I’ve had a beautiful hijab show an ugly pin mark but these two held up! The chocolate one was a little slippery but it’s so pretty that I forgive it. Oh! Last but not least – the packaging. 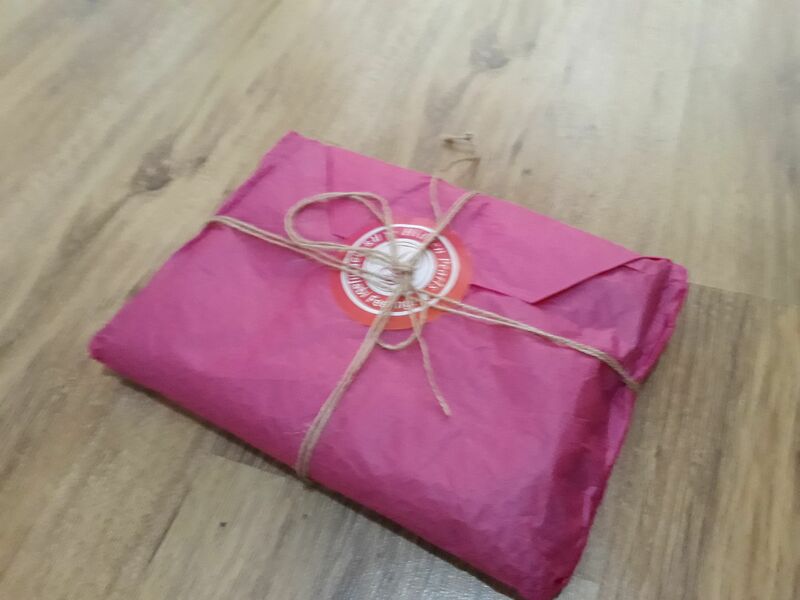 I’m spoilt and I like pretty packaging, especially when an order is being shipped to me. It’s a little like I’m getting a gift from myself and it’s nice to be able to unwrap it and enjoy that experience. My Hidden Pearls hijabs came packaged in pretty pink tissue paper with twine. It was great fun to unwrap and I’m probably going to repurpose the tissue paper for something on my desk – that’s a whole other post! Final rating: 5 out of 5 scarf pins.